Over the past month or so, I’ve received a few e-books that look really good. 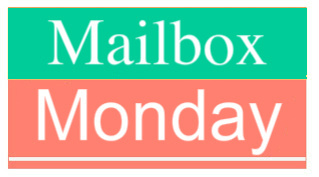 Mailbox Monday was started by Marcia of To Be Continued, and is now hosted on its own blog. Exile by Tom Stacey – from Pump Up Your Book! Enjoy your books. The Job sounds like a good one. It looks like you’re in for some good reading! Very nice mailbox. I love the cover of Wildalone. Oh my! Yours look so lovely, too! Enjoy! I need to check out the Feehan book. I love the cover of Wildalone. It’s one I haven’t heard of before, but just from the cover and title it has me curious. Happy reading!